Whether across town or across the state, Anderson Bros.
has the equipment and the expertise to move you safely. When you need it there in one piece - Anderson Bros Movers! Looking For The Right Mover? Let’s Talk About Making The Right Move! To be very clear, all movers are NOT alike. 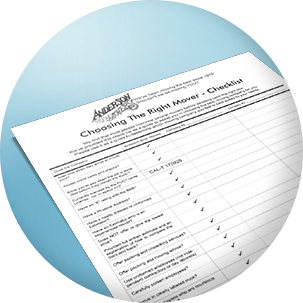 Click on the above picture to download our “Choosing the Right Mover Checklist” to get you headed in the right direction. The reality is, anybody with a pickup truck can claim to be a moving company…but do you really feel good about hiring some uninsured unlicensed guys who picked up their “help” from in front of the local “Big Box” construction supply store this morning? Yeah, I wouldn’t either! What’s your recourse if something goes wrong…horribly wrong? and get an accurate bid, you need to provide your mover with ALL the details of your move. 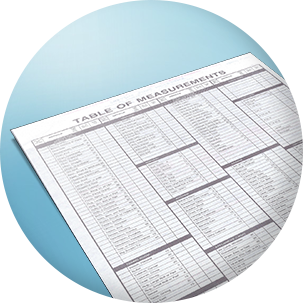 Click on the above picture to download the Public Utility Commission’s (PUC) “Table of Measurements” form (a legal form used by reputable companies to provide the consumer protection from price switching) and fill it out as detailed as you can to get the most accurate cost estimate and protect yourself against “bait and switch” tactics. 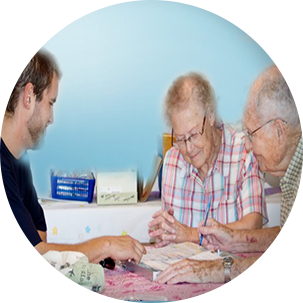 We are very sensitive and patient when working with Seniors and also offer Seniors a 5% discount. Don’t try to bring everything. It’s hard to imagine parting with so many of your things, but very often people over-estimate the size of their new home or under-estimate how many things they have. If you need to downsize, take time to figure out exactly where things will be placed. If it won’t fit, give it to a relative to cherish, or re-home it. We hope this helps you get solid information from which to make an educated decision. Please give us a call if you have any questions.